Mediation only adds additional time to the process, and will most likely only postpone our conflicts. FALSE: Mediation can be scheduled more quickly than a court hearing. The same issues arise in mediation as in Court and can be addressed in a more informal atmosphere, letting parties and counsel remain calm and come to a more individual and creative solution. We have to go to court anyway so we should not bother with mediation. FALSE: Most family law cases are resolved outside the court by parties and counsel. The litigation process is so expensive and time consuming that people ultimately come to a settlement in any event. 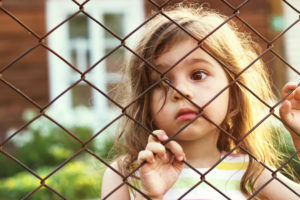 What mediation does it let this happen before the expense is so great, or the conflicts become so difficult. See you in Court – I will tell the Judge my story and get a better result. FALSE: People want to go to court to “get heard”. We all want to tell the Court how badly we were treated or why our position is the only fair position. However, most courts are unlike the “shock and awe” of television. In reality, most divorce litigants walk out of Court feeling like they have been run over by a truck. The actual experience of most divorcing couples is seldom elation. I already have a lawyer, so I cannot use a mediator. FALSE: It is common for couples to use both services. 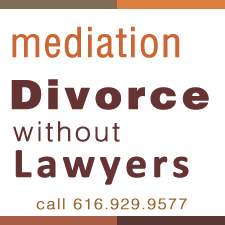 Many couples wish to avoid using attorneys and try mediation first, and mediation respects this choice. Other couples choose to retain counsel or separately meet with an advisory divorce lawyer to review their own rights and concerns. This has advantages, because informed people make better choices. I have to hire a lawyer anyway to do all the paperwork. somewhat true: Your mediator can draft your agreement – called a memorandum of Understanding (MOU) which can be submitted to the court with the basic forms for divorce. You will need the court paperwork prepared, but once you have an agreement your fees for that service are much lower. I will outline your alternatives for getting those papers done, whether with Legal Assistance Center, or one lawyer to draft just the paperwork. Do not discount the value of getting your own legal advisor, but it may not be required. There is no point, my spouse will never agree. FALSE: Eventually there will be some sort of settlement – either imposed by the Court or by the parties themselves and most people realize this. Once the reality of the court litigation process settles in, most people take a few steps back and consider settlement.